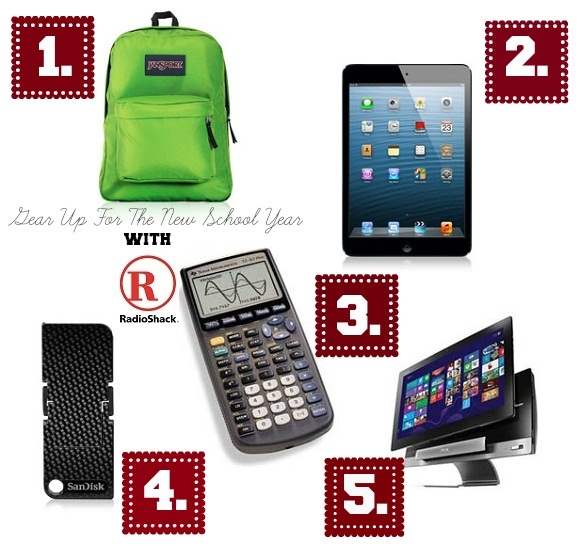 Back to school season is in full swing and RadioShack is offering up fabulous price points on all of the tools and essentials that can help to make the school year run more smoothly! 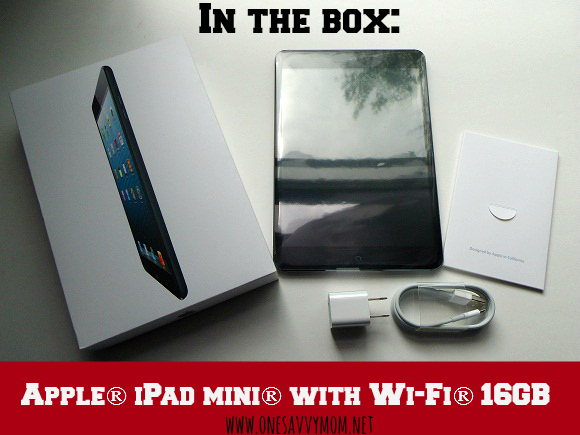 We recently had the opportunity to check out one of our top 5 picks from RadioShack, when the company sent us the iPad mini (16 GB) for review. While there are several features that we absolutely love about the iPad mini - I personally appreciate that they include everything that you need to get started, right in the box (see image below). The iPad mini is perfect for children and adults alike. This device offers up all of the convenience and brilliance of the Apple iPad in an easily transportable more compact package - all at a very reasonable price point. The long battery life ( up to 10 hours of use on a single charge) makes this the perfect learning companion for a long school day - without the worry and hassle of needing to find a power source. The iPad mini features a beautiful 7.9-inch display, iSight and FaceTime cameras, the A5 chip, ultrafast wireless, and up to 10 hours of battery life¹. And over 275,000 apps on the App Store made for iPad also work with iPad mini². So it's an iPad in every way, shape, and slightly smaller form. The iPad mini makes the perfect learning companion this back to school season! We absolutely love all of the fabulous features that we've come to know and expect from Apple - and that they are all neatly packaged into this convenient compact device.